The invitations have been sent out, and we are expecting around 50 people to come along. 80 wraps (lamb, chicken and falafel), baklava and fresh fruit are coming from Maroush, and Kit’s Grandma Faye has promised a big pot of curried goat, and rice. 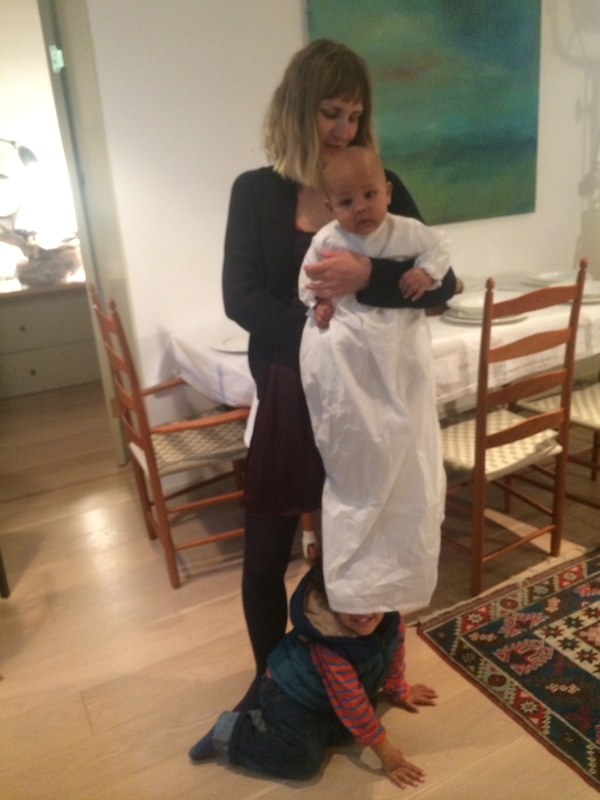 Kit tried on the Christening robe and, thankfully, it fits. I had been worried that Kit at four months might be too big for the “up to nine months” sizing. I may need to tighten the elastic in the sleeves at the last minute, but so far, so good. Ted said his brother looked like a ghost, and tried to get into it too. My daughter was impressed with the modern-traditional robe, but asked for a little matching hat. Unlike Ted who had an over-supply of hair at his Christening, Kit has, well, none that you would notice. And I did have a spare piece of rice-printed cotton left over. In fact I often have a little fabric left over and always think about making a matching hat (but somehow never do). I looked for a pattern for a little sailor-type hat on the internet, but could not find anything suitable. Therefore I made a simple pattern that I thought would work, and here is the toile, made up in Ikea curtain linen (unlined). It is a long time since I made tailored hats, but it was rather satisfying to create this miniature garment. Baby’s head is 17″ circumference, whereas the toile measures 18″ so I will make it a tiny bit smaller in the final version. I also intend to line it. Stitch two hat segments together, then add a third one creating a nice point at the top. 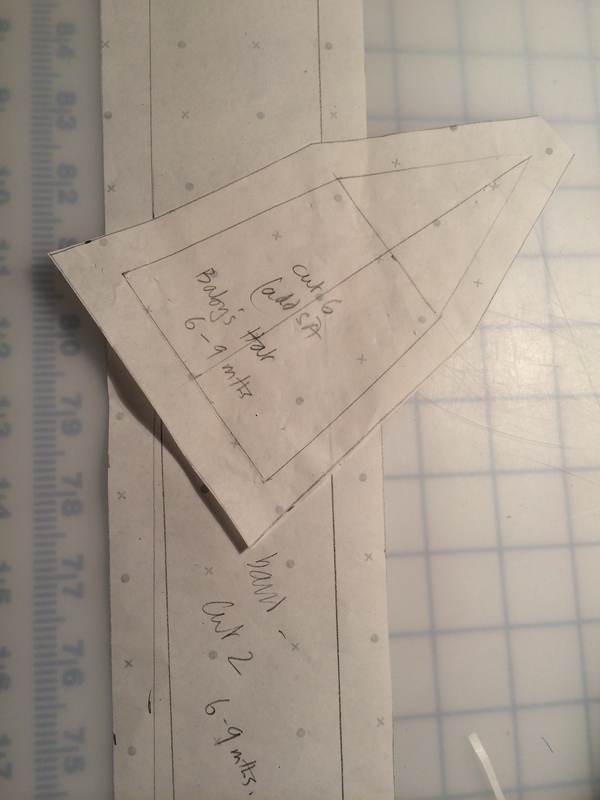 Press each seam open carefully, cutting in a notch at the 2″ point. 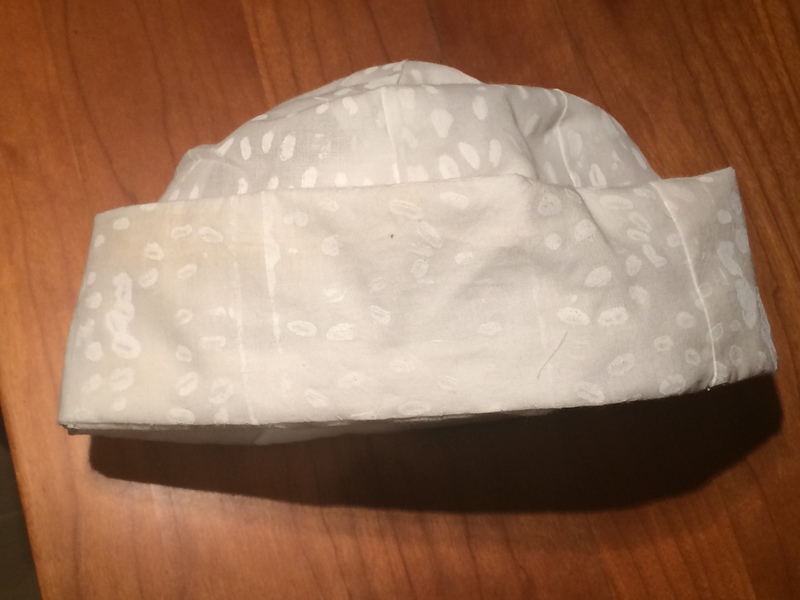 pin the inside layer of the brim (unstitched long edge) to the hat and machine it to the hat and lining. 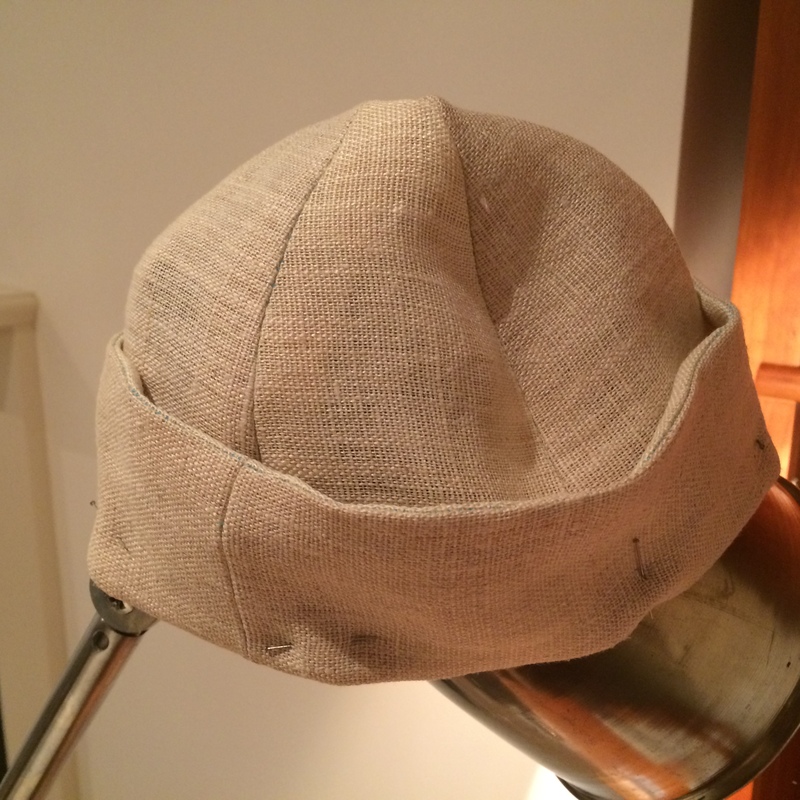 turn the seam allowances up on the outside of the hat (beyond the seam) and bring down the folded-over edge of the brim to cover it. 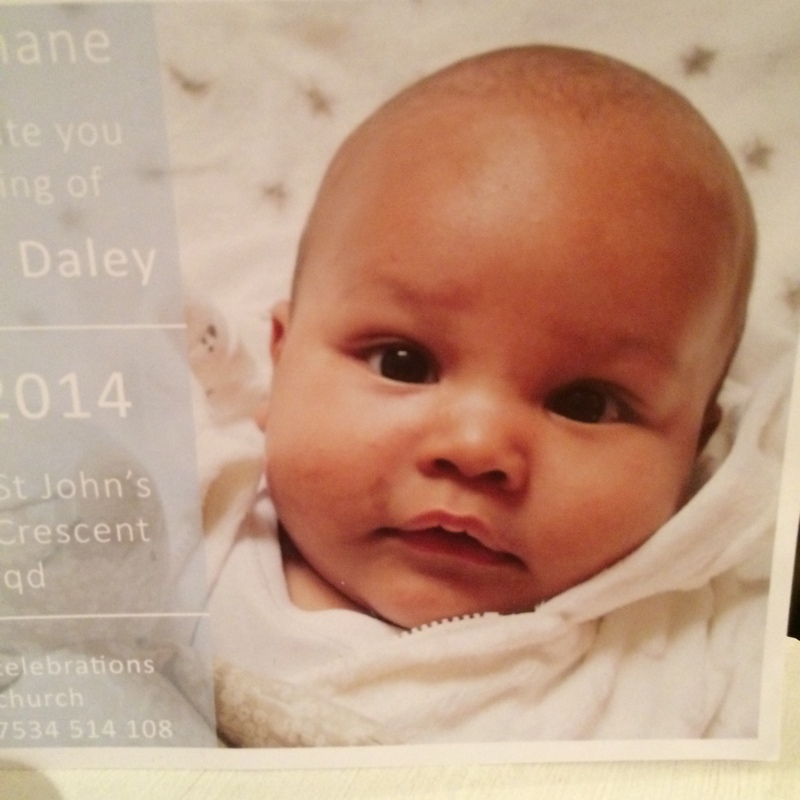 I will post photos of the Christening. I think the outfit needs a bit of spray starch and a good press. Otherwise I am done. What a gorgeous grandson you have in Kit. He will look amazing in his gown and matching hat, on his big day. Nicely done! Thank you for the sailor hat instructions, too. I am definitely going to have to try making one of those for my nephew. What lucky boys to have such a special grandma!